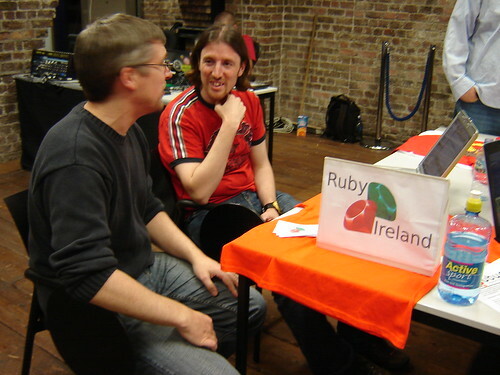 If you're interested in joining the Open Source scene in Ireland as a developer, I'd be interested to hear from you at my contact details below. In development terms outside of Ruby, I also like to hack on Ubuntu desktop apps and enjoy Python development along with the odd bit of Mono C#. Declan is an enthusiastic contributor to both open source projects and to the international open source community. His patches to my graphing project were clean and useful. I would not hesitate for a second to grant him Ubuntu membership. Geoffrey Grosenbach, Ruby Gruff graphing library author and producer of the Peepcode.com screencast/Ruby on Rails podcast.